Who can guess the subject my upcoming series on this miracle plant for organic gardening? This is 2 days after planting! Notice the little itty bitty clover seedlings as well! → Is lightning to thank for the explosion in growth in the last week? I’m raising my hand…I’m guessing buckwheat. I plant this in every open garden space. Buckwheat! Yes! It is such an incredible crop for anyone who needs soil conditioning or natural nectar for bees! A great crop for the bees. 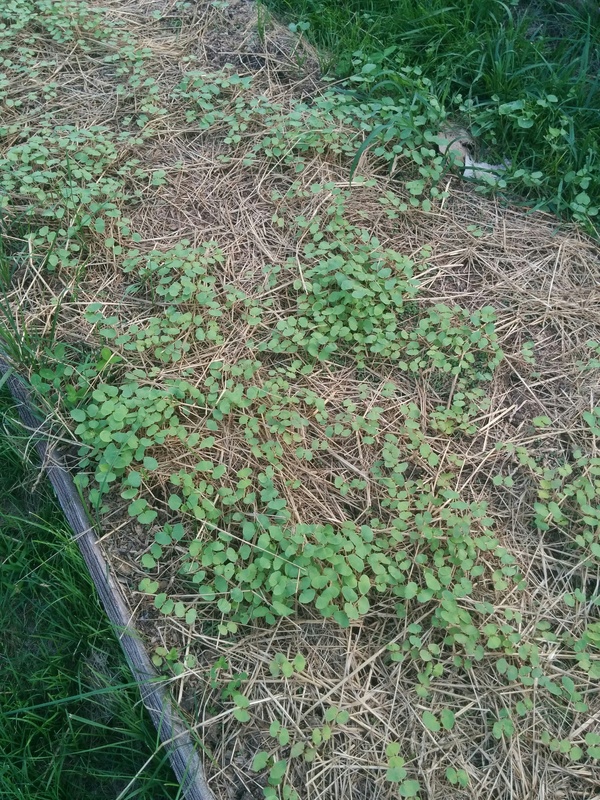 I mix it with other seeds (peas, vetch, mustard) and plant strips along the outer edges of my gardens. Sort of an easy to make bee garden. Saw the clover sprouts in with your buckwheat. What sort of clover do you plant? Do these herbs/flowers benefit the plants they are with? I plant red clover as it suits my local conditions well. I really just use it as weed suppression and as a nitrogen fixer. All of my companion flowers benefit the real crop as they are either a trap pests, attract pest predators, attract pests away from crops or directly help the crops. I made post waaaay long ago about it when I was planning the farm that I will revise and republish! Vetch is a good weed smother crop and nitrogen fixer. Mine is in flower right now and bringing in a lot of bumblebees and butterflies. Have you planted dill or coriander as a predator lure? Sometimes I mix in seeds of these or just let them grow randomly. You’ll have to update that post soon. How so? 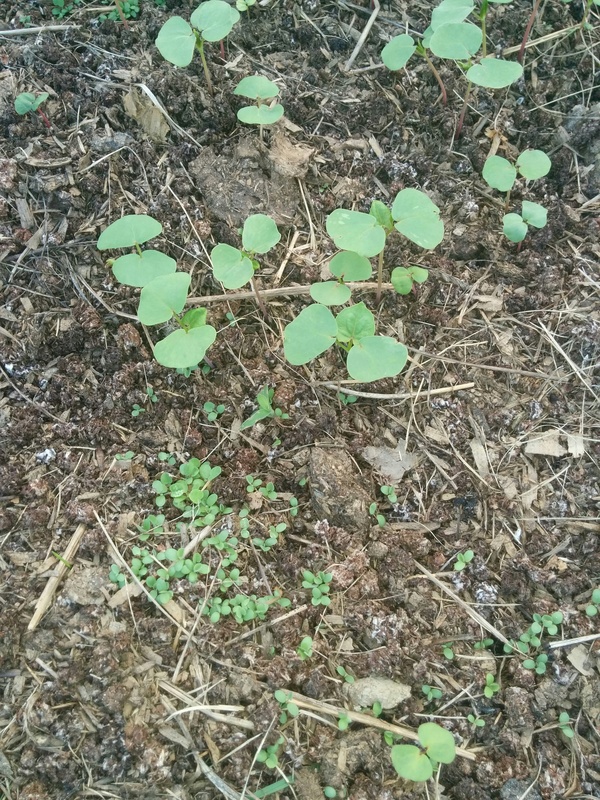 I would think buckwheat would overtake the clover.